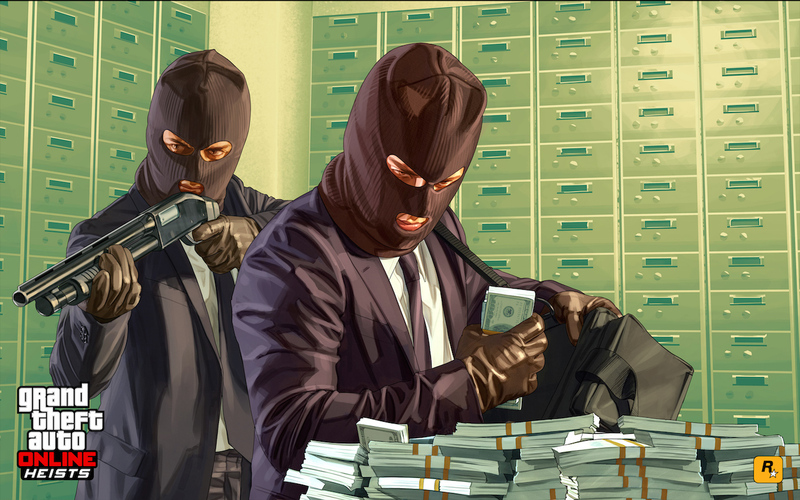 "This is the third consecutive January where Grand Theft Auto V was a Top 5 title. Astonishingly, the game has moved up in ranking placement from fifth place in January 2014, to third in January 2015 and to the second-best selling game in January 2016." In January alone, Rockstar's (online-and-off) crime simulator outsold last fall's heavyweights Star Wars Battlefront, Tom Clancy's Rainbow Six: Siege and Fallout 4. And it handily beat out Lego Marvel Avengers, which released last month and sits near the bottom of the sales charts. The only game it couldn't topple was Call of Duty: Black Ops 3. But hell, when publisher Activision reports that after less than two months at retail its futuristic shooter was the top-selling console title (PDF) in 2015 even a juggernaut like GTA is going to have a hard time closing that gap. I'd be remiss to not mention that Minecraft did something similar last August, however, taking silver over GTA 5's fourth place finish. Still, this is incredibly rare. The NPD Group famously doesn't record digital sales data from the likes of Steam or PlayStation Store, but Rockstar parent company Take Two Interactive recently revealed that to date, GTA V has sold over 60 million copies worldwide across all platforms. The average is going to be a little off considering the game sold over 11 million copies in its first 24 hours, but it's like Rockstar has moved two million copies per month, every month, since its initial release.